We come in (art) piece! This is what he would say if he could use his small alien mouth. But the triangle eyes say it all. For all you fans out there! For all you believers! In this head is encrypted the answer to life, the universe and everything else. And it’s in the shape of a little green/blue man. It even has its own clothing, matching its face. The alien face is made of white clay, painted with ceramic glazes and decorated with black and white ceramic paint. 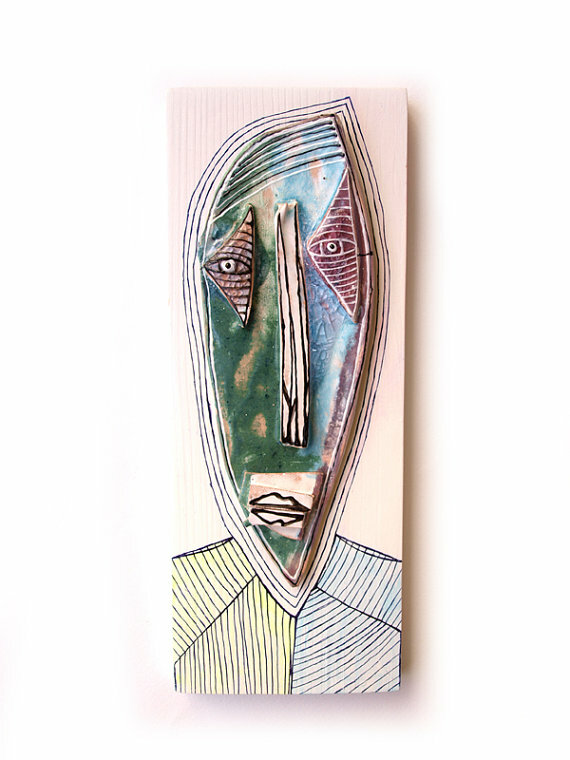 It is placed on a wooden board, painted in white and drawn onto with paint. The art piece has got a hook on the back for easy hanging. There is something crazy about this face, isn’t there? Just look at those eyes… Made of white clay, the face is decorated with red glaze, black and white lines in perfect unison with the creepy eyes and mouth, where we used the notorious decoupage technique. 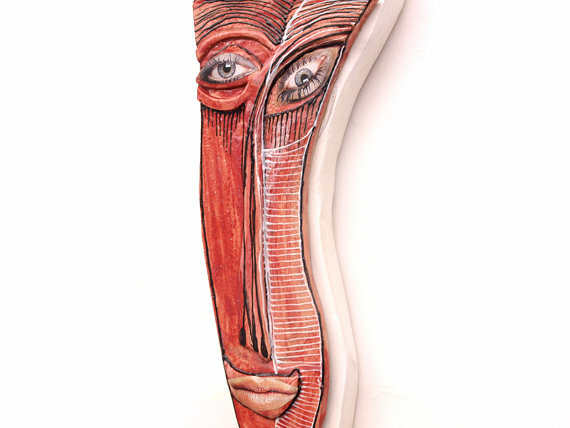 The face is placed on a white wooden board in search of that 3D look on your wall. There is a hook on the back for easy hanging.